Click on the images for larger shots. 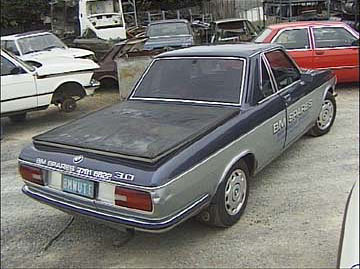 BM Spares, in Australia, has a chopped 3.0S. Yikes! Photo thanks go to Simon Britton. 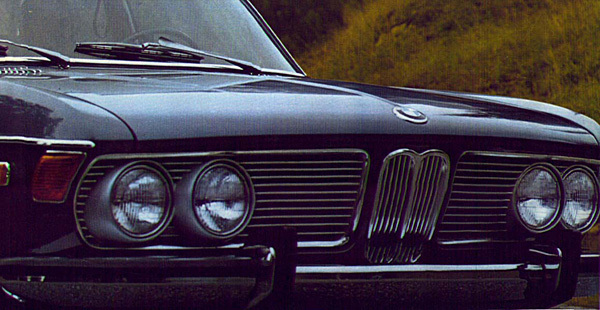 Front grille shot from the 1971 BMW Bavaria sales brouchure scanned by David James. 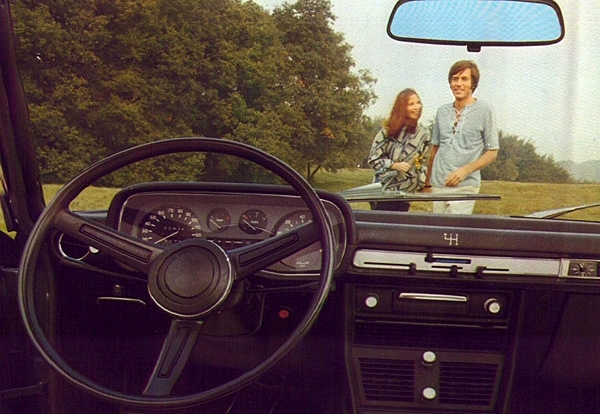 Interior shot with Hippies from the 1971 BMW Bavaria sales brouchure scanned by David James. 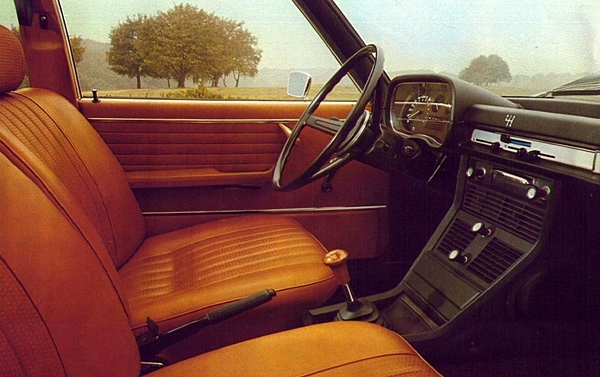 Another giant interior shot from the 1971 BMW Bavaria sales brouchure scanned by David James. 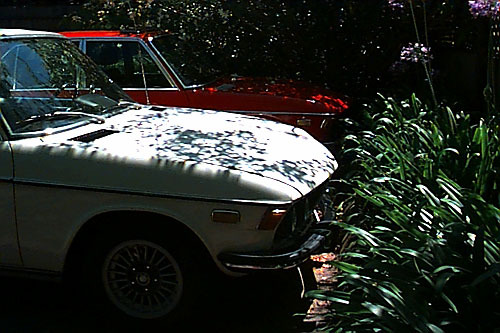 Max and Dexter, at the Mill Valley Compound, Mill Valley, CA. Max and Dex belong to Jonathan Bush and Michael Harper. 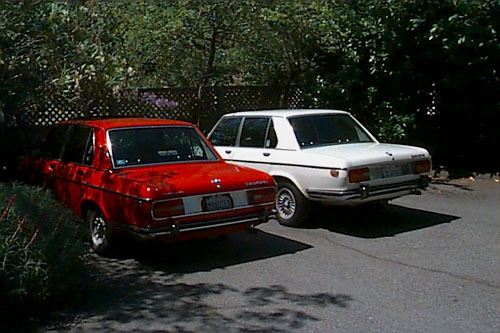 This photo, along with the next three, is courtesy of Jim out at Mesa Performance (http://www.mesaperformance.com). 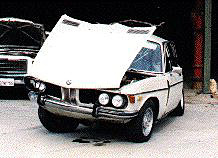 This BMW was broadsided by a University Police car at about 60 mph. 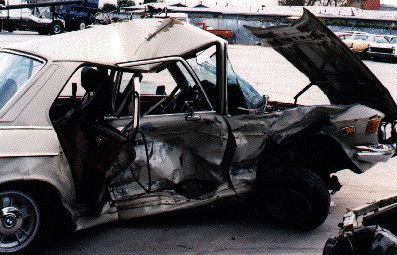 This pic and two others show after the crash. 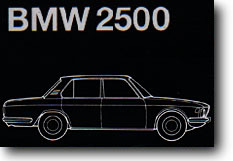 The guy stayed only overnight in the hospital; a testimonial to the strength of BMW's!